ANTRIM and Newtownabbey Council has performed a dramatic U-turn on their ‘English Only’ street-naming policy after a legal challenge in the High Court today, Friday. The policy, which was brought forward by Council following a request by local residents from Abbeyville in Newtownabbey for dual Irish and English language street signs in their local streets, prohibited any language other than English to be displayed on official council street-signage. The previous ban on Irish-language dual signage was rescinded in 1995 and councils were instructed to take on board the views of residents. At a Judicial Review hearing, taken by local residents, the council has rescinded their policy and agreed to pay the full costs of the applicant in respect of having taken this challenge. Gráinne Ní Ghilín, a local resident involved with the campaign said: “Following a complaint by local residents, including myself, upon seeing the implications of this policy, the Chief-Executive of the Council recently directly responded claiming that the policy in question was both ‘lawful and proportionate’. Dr Niall Comer, President, Conradh na Gaeilge, added: “Huge credit must go to the Irish-speaking community in the Antrim and Newtownabbey Council for the fantastic campaign that has ultimately overturned this policy. “Conradh na Gaeilge have consistently called for a uniformed approach to street-signage based on a local plebiscite whereby a simple majority of respondents in any given street can trigger the erection of bilingual signage. This case, like many others, highlights the need for clear legislation to direct and inform councils on signage and Irish-language policies. 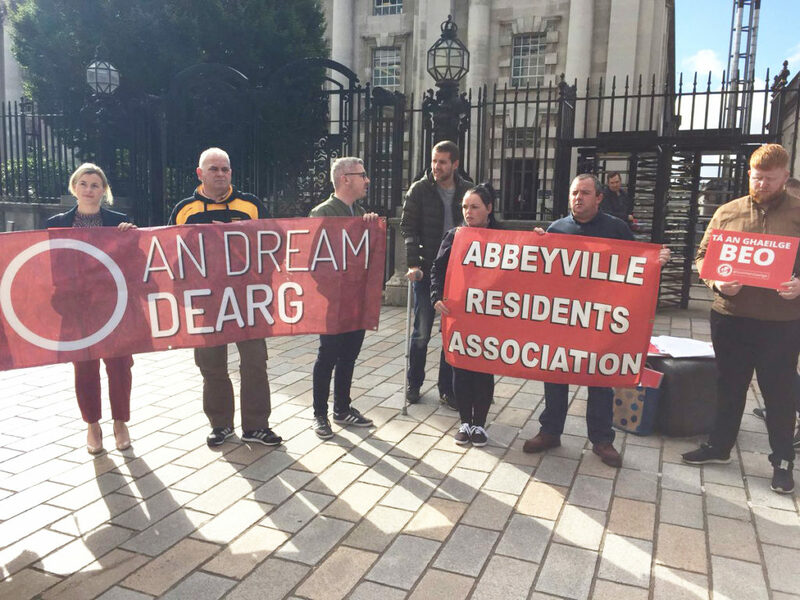 “Any incoming Irish language Act must include clear instruction and provision regarding signage, as is considered a central part of language legislation around the world.